At first glance they kind of look like Labradorite to me. Do they shine blue/green/orange/gold when the light hits them? 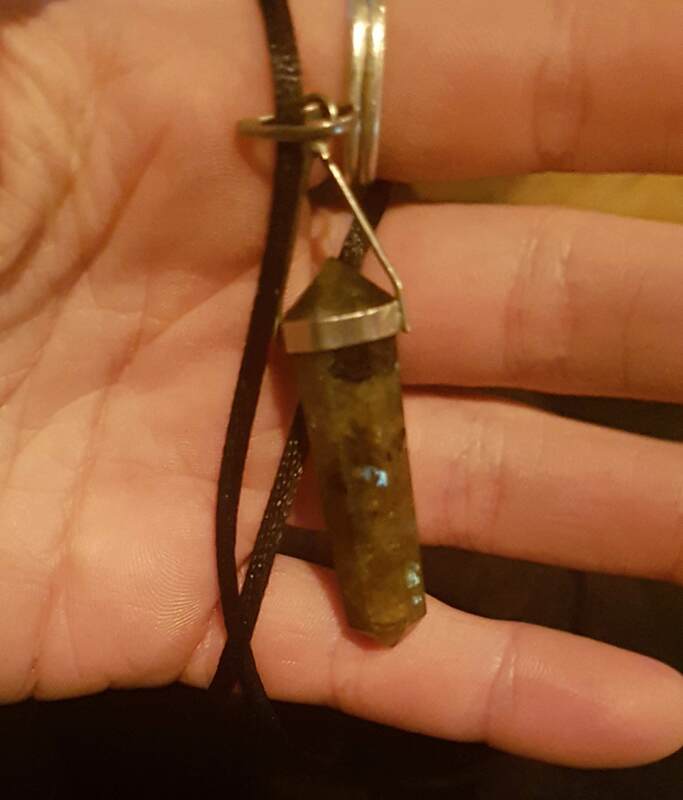 I’m wearing one right now and it looks [almost the same,](https://i.imgur.com/pFHk2Ik.jpg) if you can look past the poor lighting. The blue flecks are a dead giveaway.